In 2013 I wrote about Google Drive and Chromebooks for lawyers interested in adopting a more cloud-based approach. Since then, many businesses have turned to cloud solutions and Google has been actively promoting Google Apps for Work which includes a range of its products. Most people have either used Gmail themselves or know someone who does. It’s essentially a web-based email service which allows you to access your email from any internet connected device. One of the draws for business is that you can use your existing work email address with the Gmail interface, so clients see your business domain suffix (ie @yourbusiness.co.uk). It has all the regular features of other well-known email products, including filtering and spam handling, without the need to install any software or be tied to one computer. Being able to save and access files remotely, as well as share and collaborate on these files with co-workers, has become a normal part of business for many professionals. Google Drive offers all the core features of other cloud storage services such as Dropbox and Microsoft’s OneDrive, acting as an online repository for all types of files. Drive also forms a hub from which new documents can be created, existing ones edited and old ones searched. These comprise the main part of Google’s version of Microsoft Office: Docs is Word, Sheets is the alternative for Excel and Slides takes the place of PowerPoint. Docs, Sheets and Slides are cloud based and work seamlessly with their Office counterparts. For example, open a Word document in Docs and you can see and respond to any comments/redline changes and send it back in Word if required. Note that, although you can save a Word document directly to Drive, edits will be made in a Google version which can then be converted back to Word, so there are a few extra steps involved. For the past couple of decades, Microsoft has dominated the core business software market, particularly with its Windows operating system and Office Suite (primarily Word, Excel and Outlook). Windows has been losing ground recently, perhaps in part due to the success of Apple and Chrome OS. But it has successfully adapted its office suite to the cloud era with Office 365, a direct competitor to Google Apps for Work, and the incumbent player is proving that it still has what it takes to attract business, having taken market share. Although many other companies are vying for customers when it comes to individual services (eg. Dropbox for storage, Apple for operating system – or Apache with its OpenOffice suite providing free core office tools) only Google and Microsoft currently offer a comprehensive package. But in terms of remote working – which is perhaps of the greatest interest to lawyers choosing a product – Google has one significant advantage over its Redmond rival: its Android smartphone platform. Android comes with Google Apps built in so Android phones are essentially ready to go out of the box. The latest statistics show that Google has over 65 per cent market share of mobile platforms, compared to a measly 3.26 per cent for Windows. Although Office 365 can be installed on Android phones, set up will be more complicated and there is more potential for compatibility issues. What is best for lawyers? Most firms will already be accustomed to Microsoft products and the time and effort of making the switch across to the Google ecosystem may lack allure, particularly as Microsoft already has its Office 365 cloud offering. Brian Inkster of Inksters Solicitors says: “I have always operated in a Windows environment. The vast majority of lawyers do. Our cloud based practice and case management system is Windows based. I have a Windows Phone, Microsoft Surface, Microsoft Surface Book and Microsoft Band all of which sync seamlessly together. I can’t imagine any good reason to move to Google Apps.” As the features of the various products on the market become more ubiquitous, any USPs become increasingly narrow and there is often simply no need to change to another product which basically offers the same features. On the other hand, firms which do decide to make the leap may be pleasantly surprised by how quickly they can adapt to Google’s environment. The baked in searchability (after all, that’s what the big G is famous for!) and its collaborative functionality is also a big plus. 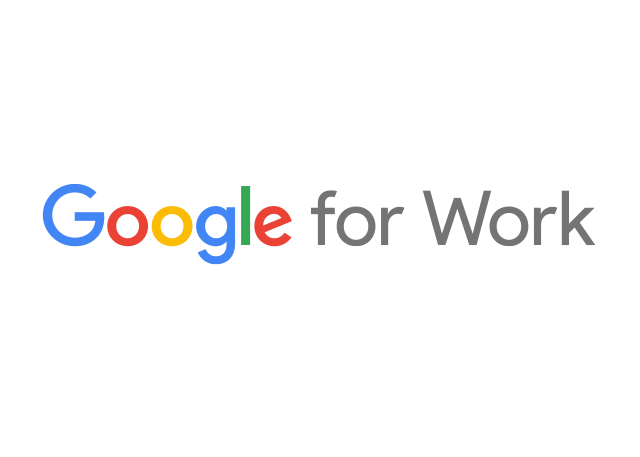 Commenting on the decision of Hedges Law to embrace Google, Managing Director Nicola Poole was “Very happy to shout from the rooftops about my positive experience of moving to Google. We transitioned from Outlook incredibly quickly and easily, literally overnight and have never looked back. Our staff can work anywhere and everywhere now, log in from any device, we can share and collaborate on documents simply and easily, and store and retrieve all emails and documents with one click. I cannot recommend “GoogleWorld” more highly; in my view every smart forward-thinking business should live there.” So, although there may not be any need to switch from Microsoft to Google, it can clearly be a satisfying experience. As previously mentioned, working with Word documents using Google Apps requires a few more steps for file format conversion, which is one disadvantage for lawyers who will usually receive documents from clients in Word format. On the other hand, Android phones are already plugged into the Google eco-system so that can save some time and effort for Android owners using Google Apps. In terms of storage, we should not forget Dropbox which was one of the first companies to provide cloud based storage and collaboration and is still going strong. But, as all the products offered by different companies gradually converge and differences become more difficult to discern, making a choice may eventually come down to preference of brand and user interface rather than any crucial business need.